The gunners played against Manchester United on Wednesday and they yet again failed to get a win at the Old Trafford as the scores at full-time were 2-2. Arsenal will now focus on their next match against Huddersfield Town on Saturday and the club has just released an injury update ahead of this game. Rob Holding did not finish the first half of Arsenal’s encounter with Manchester United because he got injured and him being stretched off the pitch shows how serious it was. Arsenal has confirmed that the young Englishman has returned to London and that a further announcement will be made in the next 48 hours. 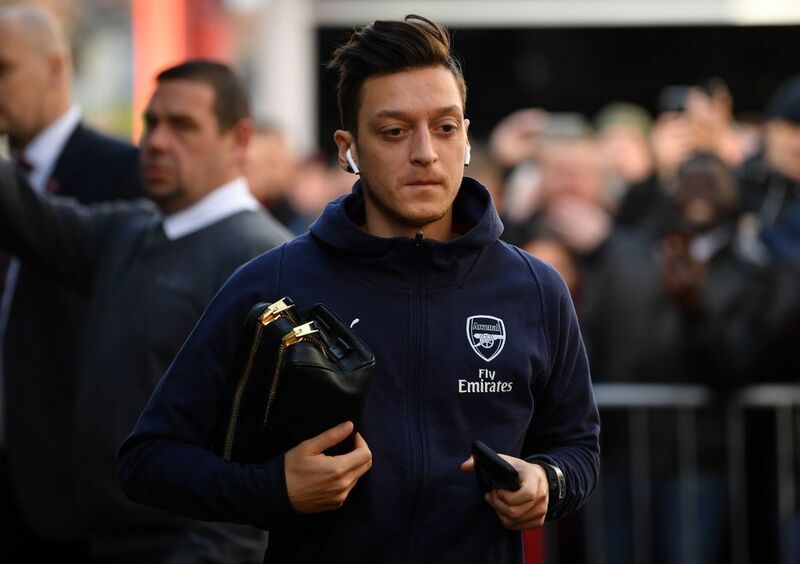 Mesut Ozil has missed Arsenal’s matches against Tottenham Hotspur and Manchester United because of back spasms. The German international was expected to make his return on Wednesday but he however still missed the game. The club confirms that the German international will be assessed before the match against Huddersfield Town. Nacho Monreal has missed a number of Arsenal matches because of a hamstring injury he sustained a few months ago but the club has said that the left back will also be assessed before the game against Huddersfield Town this weekend. Laurent Koscielny played 85 minutes for Arsenal Under-21 side against Portsmouth and it’s revealed by the club that he will also be assessed before this weekend’s game. Dinos Mavropanos has a groin injury and is expected to return to full training this December according to the club and Danny Welbeck is still recovering from the surgery. Aaron Ramsey played only 45 minutes in Arsenal’s match against Manchester United last night but it seems his injury wasn’t that serious as the club claims that he will be assessed before the Huddersfield Town game.